China’s leading wine importer, ASC Fine Wines, has signed a deal with the country’s oldest and biggest winery, Changyu Pioneer Wine Company, to distribute its premium wines from Ningxia across China, targeting Michelin-starred restaurants and high-end hotels. 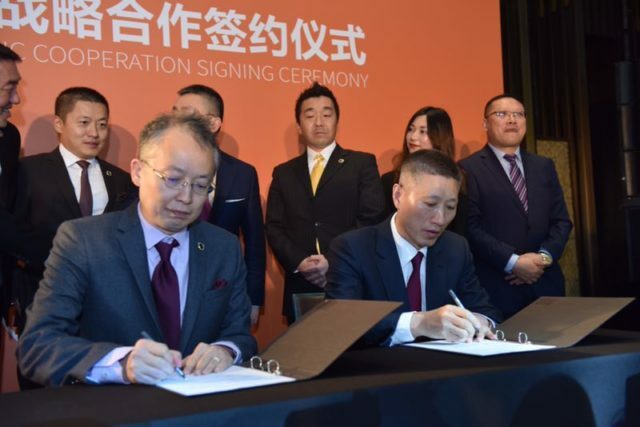 The partnership was characterised by Yoshi Shubuya, CEO of ASC Fine Wines, as a collaboration between “two giants” during a press briefing in Chengdu, the capital of China’s southwestern Sichuan province. The deal would allow Changyu’s four premium wines from its Ningxia-based winery (Château Changyu Moser XV) to be distributed through ASC Fine Wines’ on-trade channel, leveraging the wine importer’s long standing HORECA network particularly with Michelin-starred restaurants and top hotels. Additionally, Changyu in turn will help distribute selected wines represented by ASC Fine Wines via Changyu’s existing national sales channels, according to Shibuya. This marks ASC’s second push on domestically produced Chinese wines alongside its partnership with China’s leading family-owned winery Grace Vineyard. Opened in 2012, the European-styleChâteau Changyu Moser XV winery cost €70 million, and makes a range of Cabernet-led reds as well as some whites.